← Let’s Call it Mullet Monday, Shall We? 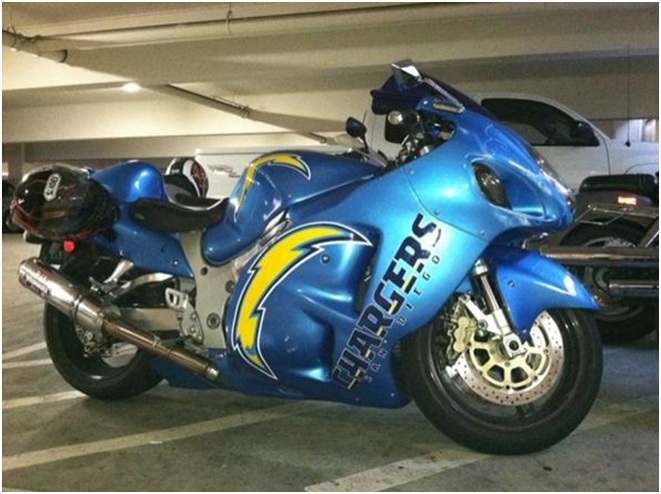 I’m certainly not a fan of crotch rockets… but who am I to mock anybody representing the Bolts? This entry was posted in Football, NFL and tagged Bolts, bolts motorcycle, Chargers, chargers motorcycle, crotch rocket, NFL, San Diego Chargers. Bookmark the permalink.